Somapane has developed an ulcer on his eye. 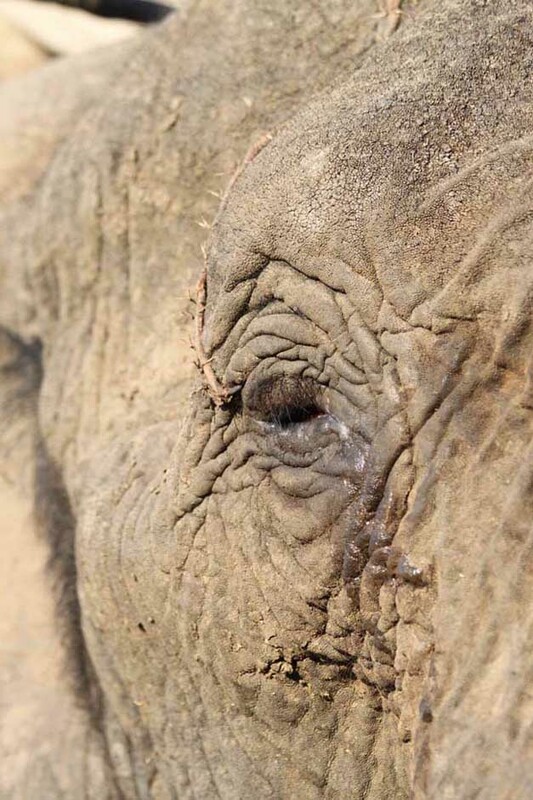 Veterinarian, Dr Peter Rogers, prescribed antibiotics for the elephant and stitched the eye closed in order to prevent dirt from getting into it. After a week of being stitched closed, his eye was much better, but not completely healed. 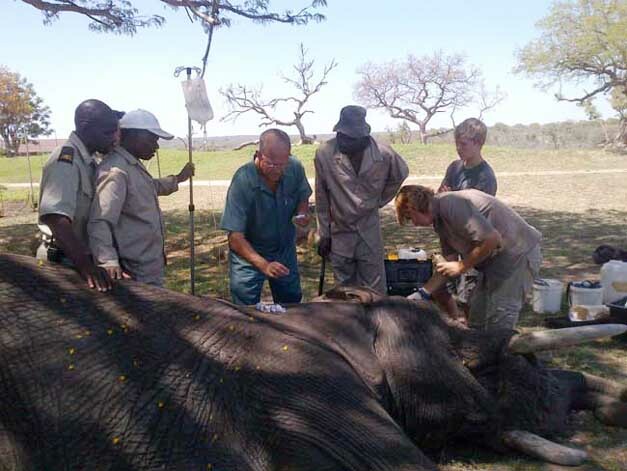 Dr Rogers then sedated Somapane and attached a tube from the top of his head all the way into his eyelid in order for the grooms and Simba (head veterinary assistant) to administer eye drops to the elephant three times a day. Grooms, Tigere and Isaac, have reported that Somapane’s eye is showing great improvement. He will continue receiving eye drops until next week, at which time Dr Rogers will decide whether his eye has healed sufficiently to stop the treatment. If so, the tube will be removed. We hope that this gentle giants’ eye is better soon.